White Sand Beaches, Stunning Landscapes, Guided Native Bush Walk, Local Cafe Culture, Local Vineyard, Olive Oil Tasting, Indigenous Maori Perspective. 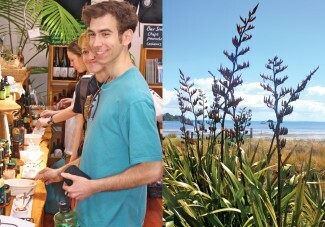 Spend a day with your local guide exploring Waiheke Island from a Maori perspective. You will be greeted by your guide at the wharf upon your arrival. First is an orientation around Waiheke taking in stunning sea views of the Hauraki Gulf, Auckland City and the Pacific Ocean. You will visit pristine white sand beaches and hear the history and stories of the places you visit and see. You will visit the focal point of the Maori community on Waiheke, learn about the significance and importance of carving and traditional tattooing, the revitalisation of Maori language and the impact of colonisation on Maori people. Lunch is at a local cafe where you will have an opportunity to mix with the locals and experience delicious food and coffee. The sub-tropical Waiheke climate has allowed for an award winning wine industry to be established on the island. You will visit a vineyard for an optional wine tasting. Waiheke Island is also becoming well known globally for its olive oil and you will be able to taste this for yourself. During a guided walk through native bush your guide will explain the traditional and medicinal Maori uses of native plants. The walk will take you to the summit of a historical paa site where you will see archaeological remains of kumara pits, shell middens and defensive terraces. 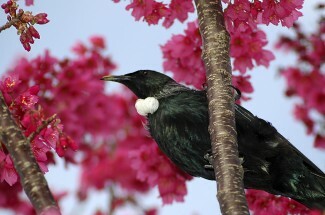 Our native birds tui, kereru and tirairaka can also be seen. 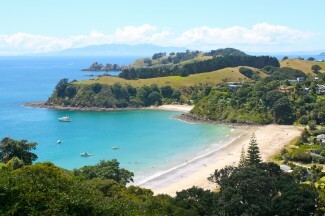 This tour takes in all that Waiheke has to offer while also getting you off the beaten tourist trail. To truly understand our land is to understand it through the eyes of us, the indigenous people. We hope to see you on our tour soon! Your guide will drop you back to the wharf in time for the return 4pm ferry. Alternatively if you wish to stay on the island longer your guide will drop you to Oneroa, the main village and you can make your own way back to the ferry by either a 15 minute walk or short bus ride. Wind proof jacket. Swimming gear and towel (Summer). Bottle of water. Sun screen. Camera. For more information and to make a booking please contact us.